UN Women in Tanzania is implementing its Strategic Note (2017-2021), under which one of the priority areas is women's leadership and political participation. The Women's Leadership and Political Participation Project (Wanawake Wanaweza) Phase II (2017-2021) builds on Phase I (2014 - 2017), and continues to promote gender equality and the empowerment of women as per UN Women's global mandate and supports the Government of Tanzania as a Member State to the United Nations to implement international standards, providing suitable technical and financial assistance. The second phase of the project aims at achieving the overarching goal/impact 'Women lead and participate in decision-making at all levels' building on the momentum created and gains made from the first phase. 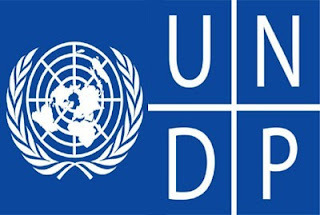 The project is in line with the UNDAP II outcome 'Women and girls increasingly participate in political and public life and are elected to leadership position', the UN Women Tanzania, Country Strategic Framework 2017 - 2021; the UN Women Global Flagship Programme Initiative on Women's Political Empowerment and Leadership, as well as, national gender policy, the SDGs (in particular, Global Goal 5 dedicated to 'achieve gender equality and empower all women and girls', CEDAW and other international and regional commitments, such as the African Union Agenda 2063. The project operates on three main areas where change needs to happen to effect progress in relation to increasing women's leadership and political empowerment. Firstly, the policy and institution level (policies, laws, standards, norms and practices) to ensure these promote and regulate the increase in women's leadership at all levels. Secondly, at the individual level, to strengthen capacities of women to conduct competitive, well-resourced and innovative campaigns. Thirdly, at the community level, where norms, attitudes and practices often undermine women's rights and gender equality, efforts will work towards reverting these to promote women as accepted, legitimate political leaders. The WLPP project phase 2 will therefore, adopt a multi-sectoral and comprehensive approach, building on the lessons learned and good practices from the first phase of the project implementation while being informed by the findings and recommendations of the end-of-project evaluation of WLPP Project Phase I. Interventions at all three levels are designed to reinforce and support each other by maintaining horizontal linkages and enhancing the creation of synergies among the different programmatic components. Under the overall guidance of the Chief of Accounts in Headquarters and the daily supervision of Head of Leadership, Political Participation and Governance and the Operations Manager, the Finance Associate is responsible for the execution of a wide range of financial services and administrative processes under the WLPP Section's projects, ensuring timeliness, efficiency and transparent use of financial resources and delivery of services in accordance with organizational financial rules, regulations, policies, procedures and approved allocations. The Finance Associate promotes a client-oriented approach consistent with UN Women rules and regulations, standard practices and guidelines. The Finance Associate works in close collaboration with the Programme and Operations Team as well as with the Operations and Programme teams in UN Women HQ for solving complex finance-related issues and information delivery. Manage petty cash fund, cash impress level. Prepare drafts for cost sharing agreements including conditions of contributions within resource mobilization efforts, adhering to standard agreements where possible. Follow up on contributions within the CO resource mobilization efforts. The incumbent will devote 70% of the time to support the WLPP Section and 30% to CO Operations. Timely, complete and accurate financial transactions/activities/documentation. Timely and accurate advice on UN Women financial rules and regulations. Timely and regular monitoring of financial resources management system and timely expenditure of financial resources. Timely and accurate support to budget formulation and controlling allotments. Timely and accurate monitoring of internal expenditures control systems. Timely and accurate drafting of management financial reports. Bachelor's degree in Finance, Accounting is an asset.